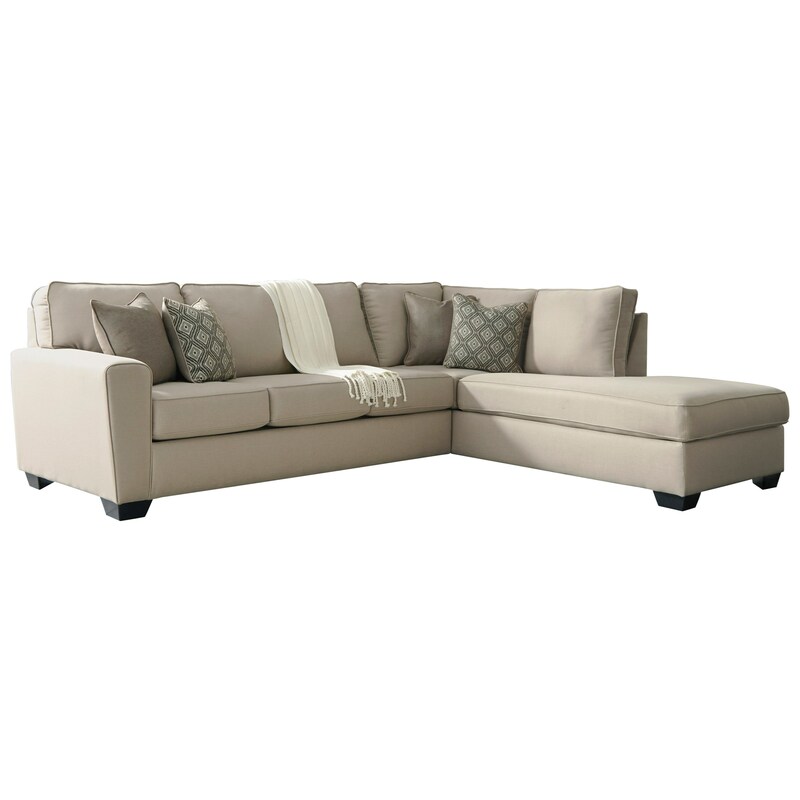 This sectional offers a sophisticated yet relaxed look to your living room, plus room to stretch out with its chaise. A set of ikat pattern accent pillows and a set of solid color accent pillows add style to the sectional. The Calicho Contemporary Sectional with Right Chaise by Benchcraft at Miskelly Furniture in the Jackson, Pearl, Madison, Ridgeland, Flowood Mississippi area. Product availability may vary. Contact us for the most current availability on this product. The Calicho collection is a great option if you are looking for Contemporary furniture in the Jackson, Pearl, Madison, Ridgeland, Flowood Mississippi area.